Looking for a more effective way to capture leads? Consider this: eBooks are about three times more likely to capture leads than podcasts, videos or infographics, with 63% of B2B prospects ready to share their information for the right kind of content. 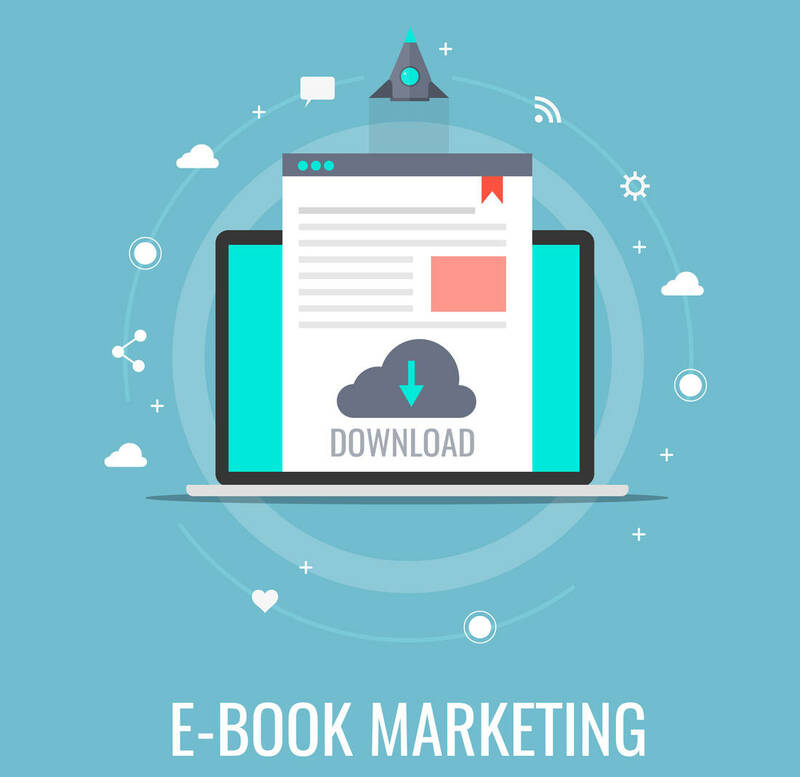 When you need to generate leads, eBooks can deliver people who are informed about your product and well on their way to a buying decision. KEY #1: Engagement. Titles and topics that provide value are key: how-to’s, insider tips, reasons-why, top 10 lists, surprising facts, checklists, quizzes and more. Effective eBooks use these techniques to focus attention on hot-button problems, uncertainties or pain points, with the promise of a clear solution fast. The result is actionable content that makes clicking, learning and sharing easy. Key insight: eBooks in a PDF or online format can be tailored to specific market segments more economically than a printed piece, increasing their effectiveness. Define your target with a detailed buyer persona before developing the eBook, and you’ll find it simpler to craft a concept that prospects respond to. KEY #2: Education. Successful business people are hungry for information relevant to their challenges, and current research shows they prefer shorter interactive content that educates rather than sells. A brief eBook with well-researched statistics, case studies or expert quotes is the perfect fit, well worth their contact information. It also enhances your reputation for service and thought leadership, making you a preferred resource when it’s time to buy. Key insight: Third-party content makes you more authoritative, particularly statistics and trend data from respected industry sources. Document these sources in your eBook and include hyperlinks if possible; that way your eBook is more likely to be kept for reference and passed on to others. KEY #3: Infographics. eBooks combine graphics and information into streamlined content that takes less time to process and dramatically improves recall. Whole sections or topics can be grasped at a glance, thanks to varied type styles, bullet points, images, charts and sidebars creating a clear visual hierarchy. Other advantages include easy viewing on phones and ready adaptation to social media. Key insight: Avoid overloading readers with too much information. Fewer elements per section ensure that your best content gets the attention it deserves, and you can always add new sections for overflow content. SlideShare contains many eBooks that follow a classic slide presentation format, using a limited number of graphics and some text bullets with great impact. KEY #4: Sharing. Viral marketing can help you reach more prospects, and the essentials are already in your eBook. Infographics triple your likes and shares on social media compared to any other content, so repurpose your material into high-impact tweets or Facebook posts. You can also include social media share buttons in your eBook, turn excerpts into new blog posts and add a homepage link to your eBook landing page. Key insight: As you pursue new leads, don’t neglect current contacts. They often need buy-in from others during the purchasing process, so support them by passing along the engaging content you’re posting to social media and blogs. You can also share content with business partners, promoting your eBook to a new audience. With so many businesses today striving to find quality leads, the solution that makes the most sense is engaging content that helps them to find you. To get started, email Creative Co-op or give us a call at (603) 658-1600.